Our team of robo-props are scrum-thing else! 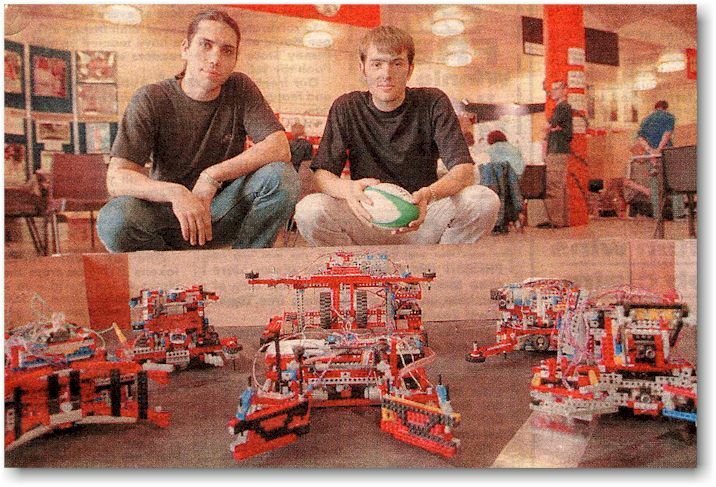 Nice try… George Maistros and Mark Drake show off their squad of robot rugby players. Scrum invention! 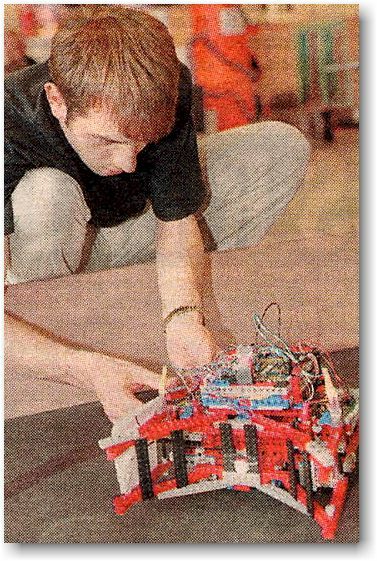 Students have developed robots which can play rugby. The electronic bruisers can tackle opponents, pick up the ball and spring over the touchline to score. The prototypes were shown at the Edinburgh International Science Festival yesterday.